Our children’s Bank has been functioning since November 2013 has around 500 account holders till date. 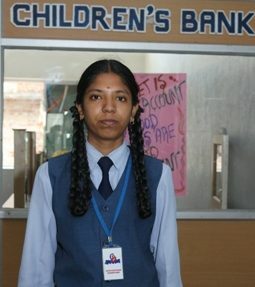 The bank functions efficiently with our HSC students designated to various jobs in the bank. With its own manager, auditor, CRO & PRO from the HSC students team. 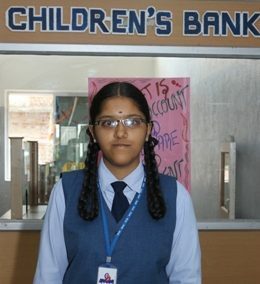 The bank envisages knowledge in children on saving money. 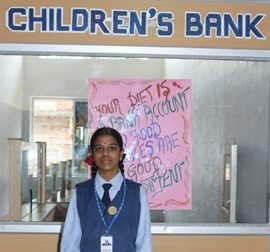 Save, Invest & Grow is the motto of our Children bank. 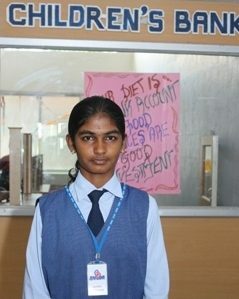 Our higher secondary team also gets career guidance by working in our bank. Acts in the place of Manager in his absence and co-ordinates the staffs and executes the bank activities. 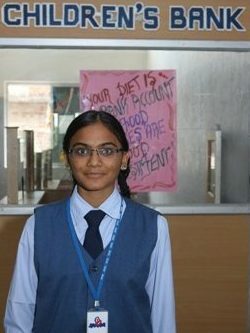 Accounts manager answer inquiries regarding checking and savings and other bank related products. Attempt to resolve issues and problems with customer’s accounts. Initiate and open new bank accounts. Assists the Accounts manager in all concerns and addresses the queries of the account holders. A bank auditor monitors the operations of the bank to ensure its compliance with industry guidelines and adherence to measures that deter fraud. Their job generally requires to establish and follow a schedule to regularly check the appropriateness of all business activities. Field officers have a multitude of duties. Some may take simple surveys while others conduct more thorough forms of research, including testing collected data. The most important aspect of being a field officer is going out into the field, interacting and compiling information from the public, here being the students.